You are here: Home / Categories / Blogging / December Instant Pot Giveaway – TWENTY FIVE WINNERS!!! This giveaway has concluded, please see the list at the bottom of the post for the winners. 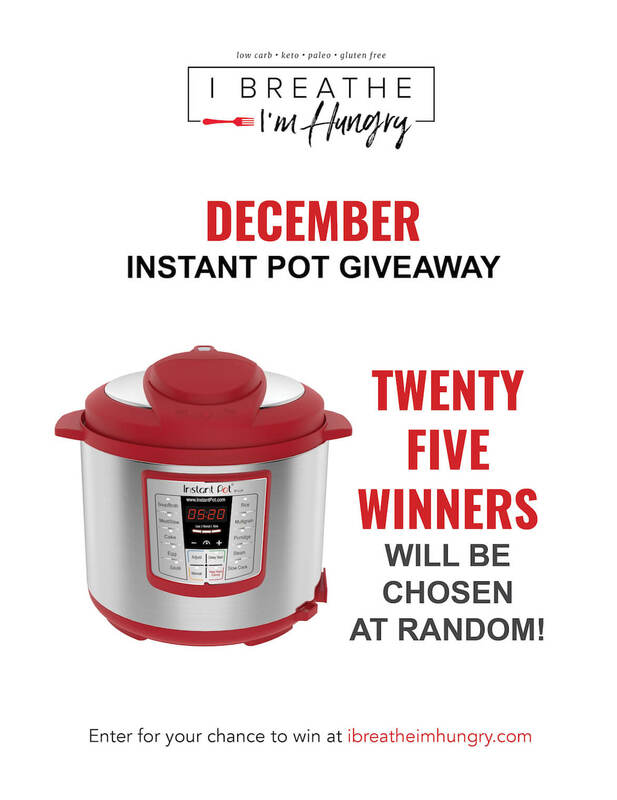 The last two months giveaways for 5 and then 10 Instant Pots were so exciting, that for the month of December I’ve decided to give away TWENTY FIVE (25) Instant Pots!!!! If you haven’t won yet, that’s a LOT more chances for this to be your month, so bookmark the page and be sure to enter daily!!! I’ve given away Instant Pots here on the blog before and it’s always popular because people (including myself) just LOVE them! If you’re not sure what they do or how having an Instant Pot can help save you time, money, and cabinet space, head over to the IBIH Pantry Essentials Page where I break it down for you! As Instant Pot evolves their brand, they are offering an awesome red color now (which I’m super jealous of) and also some new buttons and features which make cooking hard boiled eggs, and even cakes, easier and more foolproof than before! If you’ve already got an Instant Pot then you know how great they are! If you win you can keep it for yourself, or pass it on to a friend – they make fantastic gifts! Already have an Instant Pot but not sure what to make with it?? I’ve got lots of keto friendly Instant Pot recipes here on the blog, and some of my favorites are the Jamaican Pork Roast, Balsamic Beef Pot Roast, and Asian Beef Pot Roast pictured below! A google search for keto Instant Pot recipes will turn up lots of tasty results. 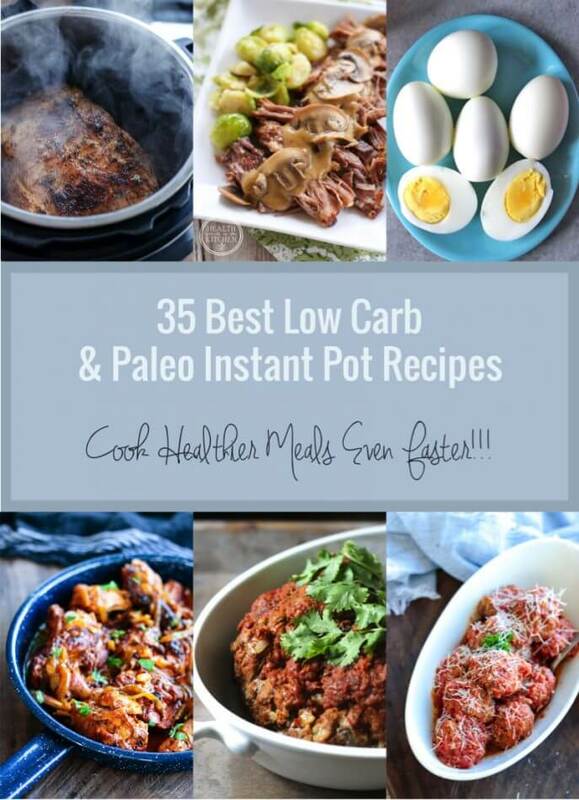 Or you can just check out my list of favorite low carb and Paleo Instant Pot recipes from around the web by clicking here. This giveaway will run from 12:00am 12/1/2018 to 11:59pm 12/29/2018 and is open to residents of the US and Canada. No purchase necessary to enter, but you must be 18 years or older. The winners will be chosen within 24 hours of the close of the giveaway and will have 24 hours to respond before alternate winners will be chosen. One winner per household. If the red instant pots are not available for immediate delivery (i.e. backordered or discontinued) then a black instant pot in the same model will be substituted. NOTE: THERE SHOULD BE A BOX BELOW THIS TEXT THAT ALLOWS YOU TO ENTER THE CONTEST. IF YOU DON’T SEE IT, THEN TRY CLEARING YOUR CACHE, CHECKING YOUR BROWSER SECURITY SETTINGS, OR TRY ENTERING ON A DIFFERENT DEVICE. How do I find out if the Donna K. is me or not? You would have received an email already. Also apparently your last name is Wilkins, so not the initials Donna K. anyway? Am I the Becky who won an instant pot? thank you for the opportunity to win an instant pot for my family. Would be so exciting to cook healthy meals in one and would love to try so many of the recipes on the site! Brussel sprouts, shredded chicken, soups and stews – so many to explore! Congratulations to the winners! Have fun with your new prize!! Where do you go to see who one? I cannot find the list that’s supposed to be at the bottom of this page. It’s at the bottom of the post where the box with the entries is located. Not sure if you need to log in to see it but it shows up for most people automatically as far as I can tell and is populated directly from the 3rd party who runs the giveaway. All of the winners have been emailed so if you didn’t receive an email then you’re unlikely to be on the list. We have a soup and sandwich night each week. I am loving the tomato soup recipe. https://www.ibreatheimhungry.com/easy-keto-tomato-basil-soup-low-carb/ We still have some basil dried from our garden, though this year’s tomatoes are nearly gone. Until using this recipe, I haven’t used mascarpone for anything but desserts. I’d be interested in more savory recipes using this ingredient. I’m a big fan of this Brussels sprout recipe…just made it tonight! I have not tried a hot instant pot yet. Would love to try! Thank you. I would love to see low carb recipes. I’ve never had an instant pot. Are they the same as pressure cookers? Anything that could help get food on the table faster for my family of 5 would be Fantastic! Thanks for the giveaway! The Creamy Keto Pumpkin & Sausage Chowder recipe looks very tasty! Everything looks fabulous. I cant waot to try some out! Definitely sharing with my friends! Thank you! I love one pot meals. I would like to see more recipes for sauces or gravies that I can make up and freeze for future meals. I would love any more recipes that help incorporate more veggies into a main dish. I sub out a lot of veggies for what used to be carbs and I feel better for it. I’d like to see some easy instant pot recipes the whole family would enjoy. I would like to see recipes for meals that include a lot of vegetables. 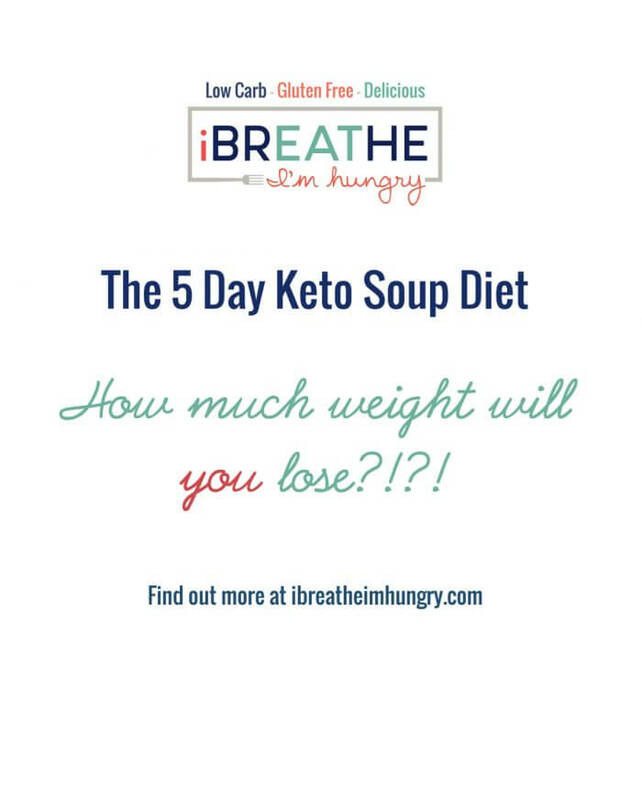 I’m always looking for more good keto soup and stew recipes! My favorite recipe is the Keto Espresso Chocolate Cheesecake bars…but there are a ton more that I also frequently make! I’d love to see an instant pot sweet BBQ ribs recipe! Thank-you for this generous opportunity! I would love to win! I have an Instant Pot but I’d love to surprise my sister with one! She is a medical assistant and she works long hours and is always rushing to get dinner done when she gets home. An Instant Pot will not only help her cut down time on her meals, but cut down on clean up too! An instapot would be a great way to end the year! The balsamic beef pot roast sounds good :) I am always looking for gluten free instant pot recipes. Thanks for doing this giveaway. I’m not very good at winning them, but you never know!!! I want to try THIS first!!! Yum! Love cheesy biscuits! First, I’d never even heard of an instant pot until this year. LOL I’m old school and cook in iron skillets a lot. Heehee! Second, thank you, thank you, for all of your efforts to develop recipes that we can all be confident in! And they taste awesome! Thanks for the chance to win! These look like great recipes to try out! I would love to see more diabetic friendly recipes. Thanks again for this great opportunity! I would love to see a variety of soups and some low sugar desserts. I think that I would love making soups and experimenting with new recipes in an Instapot! I’m doing low carbs right now, but I’m clueless when it comes to low-carb recipes. I’ll check out the recipes in your post. Thanks! I’d love to win so I can try the Balsamic Beef Pot Roast recipe. Thanks for your outstanding opportunity to let people cook healthy meals for the family! Wonderful recipes and great meal idea’s! I am really wanting to do some soups! I would like to see pasta recipes for the Instant Pot. Time to get back on the bandwagon! Can’t wait to try some of your recipes in my new journey! Hands down my all time favorite recipe is https://www.ibreatheimhungry.com/better-than-potatoes-cheesy-cauliflower/ I make this for low carbers and non low carbers! Love this one! The pot roast recipes look really good. Half the time, by the time I realize I needed to put one in a crock pot for dinner, it’s too late. An instant pot would really be great! Any recipe for soups! I love soups and crave soups, especially this time of year! I would love to see some basics about the instant pot. Nothing fancy, just some simple recipes to get me use to one! I use the ice cream recipe as my go-to homemade ice cream. I change up the flavors and add a couple tablespoons of alcohol to keep it softer in the freezer. My latest creation is rum ice cream (rum extract plus dark rum). I would love to win this so I could give it to my daughter. I already have an IP! I hope this is where I post a comment for the instant pot contest. Hard to find. 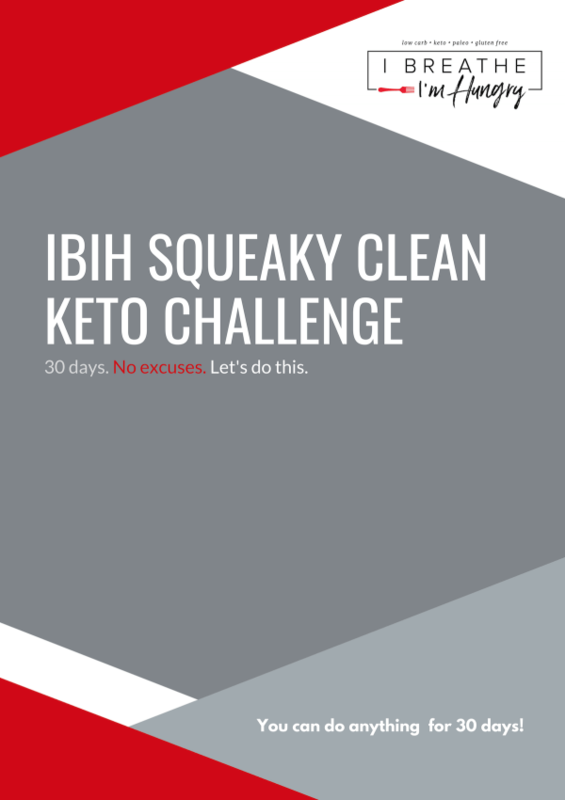 I am ready for the squeaky clean challenge. This instant pot would help. Thanks for the chance and the challenge! I really love your recipes. Thanks for sharing them. I cannot pick just one recipe, you make them all look and sound so delicious! An Insta-Pot is on my wish list! I always am compiling recipes for them but don’t have one of my own! I can’t wait to try these muffins! https://www.ibreatheimhungry.com/keto-pumpkin-spice-monkey-bread-muffins-low-carb/ They look so delicious! Pick me! Pick me! Lol!! Seriously, tho. Love getting your postings in my Facebook feed. You are without a doubt my go to gal for meal ideas. Can’t wait to try an InstaPot that I hope I will win. Thanks. All your recipes always look so amazing. I would love to see chicken and dumplings in an instant pot recipe. https://www.ibreatheimhungry.com/keto-beef-stew-cheesy-biscuit-crust-pot-pie/ is my favorite recipe of yours so far. I do love your websites. Thanks for being so generous! Very nice giveaway. I would like to see recipes that could be served for breakfast. I’m tired of fixing the same old things. Breakfast is the hardest meal for me. I’d love to try this pot roast recipe, sounds delicious! Thank you for this giveaway! I especially love the soup and stew recipes. I’ll always love seeing more of those. I appreciate them all though! Would love to see recipes for desserts! ….and anything with chicken wings!!! So many of these recipes look intriguing, sure would love to win one! I love soup recipies corn the ip. I would love to try some meatless meals in the instant pot. I am just starting to investigate KETO and I know your site will help me with some delicious recipes! And winning the Instapot would be awesome way to start! LOVED THE KETO BLUEBERRY CHEESECAKE RECIPE!! I just love the variety of delicious looking recipes. Many of them will help me start the new year perfectly. I’m always on the lookout for new low-carb recipes, and this is a go-to site. My partner has diabetes, and I’m borderline, and we’re both elderly and disabled…so an Instant Pot would definitely make life easier. I hope to win one so I can make many new dishes, including this one: https://www.ibreatheimhungry.com/keto-brussels-sprouts-instant-pot/ — especially since he’s not a great fan of them, despite my efforts to improve my preparation. Thanks again for all you do!! I’m always on the lookout for new low-carb recipes, and this is a go-to site! I hope to win an Instant Pot so I can make many new dishes, including this one: https://www.ibreatheimhungry.com/keto-brussels-sprouts-instant-pot/ Thanks!! I’m always up for a new bread recipe. 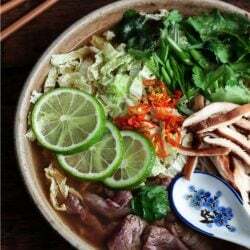 You have the best collection of recipes online. I love trying new ones. I absolutely loved your turbo keto soup recipe that I first tried last January. It was amazing….it made me learn to love collards! I recommended it to so many people. I don’t have an Instant Pot but I would LOVE to win one. They just aren’t in my budget right now to buy. I am getting back on track with a keto-atkins diet after allowing stress, family situations and work situations to lead me to make bad eating choices. Although the I live in Florida, this is our cooler time of year and I love soups. More yummy soup recipient would be awesome!!!! Thanks for the great recipes, awesome ideas and the opportunity to win an instant pot!! I love your cheesy cauliflower purée! So so easy and delicious! I love that you don’t have to squeeze the dickens out of the cauliflower, like just about every recipe I’ve tried. I hated that part! Thank you for this recipe! Planning on trying so many more of your recipes soon. They all look so good! At 68 yrs old, Ive seen many changes to pressure cookers.Id love to have one to experience the latest models.Your recipes are wonderful too. Awesome giveaway! Loving the recipes I like trying no things! I just saw the contest….and it’s the last day!!! Lol …well who knows, it could happen!!! I don’t have an instant pot and have been trying to decide if I should purchase one!! I’d much rather win one, lol!!! Thank you so much for your recipes!!! They are delicious and easy to follow and we’ll explained!!!! I think all recipes are fabulous. I agree. Best site for keto recipes! All recipes in every category are interesting to me as I love trying new things. I think I’ve entered each time. Maybe this time! Love my IP! Would love to have a second one for the RV so I don’t have to lug mine back and forth when we travel! LOL! Thanks and good luck to all! Thank you for your recipes, beautiful pictures and most of all for your generous giving spirit! Wishing you a Blessed New Year! I wonder how well this would work with brisket? Would love to try! My favorite recipe, and the one I make most often, are for the cream cheese pancakes! Thank you for the amazing work you put into helping us all with this lifestyle. 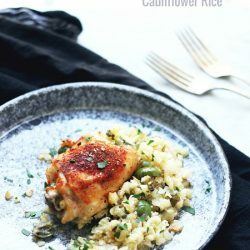 Savory Chicken recipes for the Instant Pot? A rosemary/lemon type of recipe? That would be interesting. My father who is a new widower has been staying with us for Christmas and had never seen an instant pot. My husband and I have been cooking 4 meals a week in it and he is enamored and wants to get one when he goes home. It has been hard for him to plan meals by himself and this would be perfect for him! I love your blog and I’m so excited about this giveaway. Thank you!! I would love to try the instant pot recipes! A lentil soup recipe would be good for this time of year. Im going to make my grandmothers beef barely soup! I dont have the recipe its at my moms but i will share once i get it! I’m getting ready to dive back into Keto and heard such great things about the InstaPot. This sure would make my meal prep easier too! One of my favorite recipes is the Grilled Chicken & Peanut Sauce! It’s also keto and low carb. I love this recipe for both dinner and that you can use chicken tenders for appetizers. This is one of my go to recipes! I love your Caramel Apple Mug Cake recipe. I out it on my pinterest page and am anxious to try it. Keto is new to me but the recipes sound great. I love corned beef and cabbage – is there a Keto recipe for this? I make it in the old fashioned pressure – I have never used an instant pot-how would it work in the instant pot? This would be amazing to win. I have heard great things about owning a instapot.Fingers crossed would love to win. It’s crazy how long it took me to scroll to the bottom of this page to post a comment! I will be so excited if I win! This will be a huge time saver for my husband and me. Not a recipe, but I’ll have to try the SCKC to kick-start my New Year’s resolution! 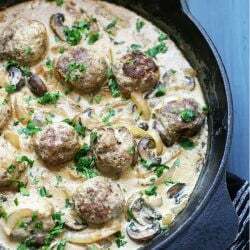 Would love to see a turkey meatball recipe. Here’s a recipe I NEVER would have thought of…but looks good! OMG – less than 48 hours left. This Instant Pot will make preparing meals for my family so much easier! Would love to win an instant pot! I found this giveaway because of your low carb radish recipe! Friends received an Instant Pot for Christmas, hoping to be one too! 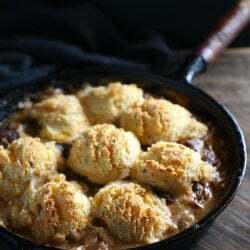 My husbands absolute favorite recipe is the Keto Beef Stew & Cheesy Biscuit Crust! It’s a delicious stew and the cheesy biscuits are the best! The flavor combo of this recipe sounds delicious! I’m making the green-chicken-enchilada-cauliflower-casserole for lunch today. I like that it is easy to put together and it just looks delicious too. Thanks for the great recipes and the chance to win an InstaPot. I can’t wait to try these muffins! https://www.ibreatheimhungry.com/keto-pumpkin-spice-monkey-bread-muffins-low-carb/ They look so yummy! I’m looking forward to checking out your site more. I have the Pampered Chef Quick Cooker (their version of and Instant Pot, I think), and I’m terrified of it. Have had it over a month and have never used it. Whether I win an Instant Pot or not, I plan over the next few weeks to familiarize myself with pressure cooking and get over my fear. Can’t wait to check out your recipes. Would love to finally win one!! Excellent! I look forward to checking out your recipes. I have no idea what a Instant Pot is but it sounds like I need it in my life. I found my way to your site when searching for “sample keto diet plan”. Thank you for offering such amazing options for a totally green Keto dieter. Your recipes look simple and delicious. I’m ready to start 2019 with gusto (and an Instant Pot! LOL). I would love to see more vegetarian recipes for the instapot! Instant Pots are so cool. I’m amazed at what they can do. I would love to see a great veggie turkey soup recipe for an instant pot! Santa didn’t bring me one so I am still hoping that a red instant pot will grace my kitchen and I can start experimenting with awesome recipes from your site! This is a really pretty salad! So excited… only two days left. I really want an Instant Pot and looking forward to trying out all kinds of new recipes. One of my favorite recipes is the Chicken Piccata Meatballs! The first time I made this I was worried that my kids might not like it. I was wrong! It was a huge hit! The Piccata sauce is the best! I love lobster and this looks so good! I’ve been on a strict “No buying new things!” diet for awhile as I try to get the number of things I own under control. But that doesn’t mean i couldn’t WIN!!! an instant pot and enjoy it! I keep trying to enter but every day it says Oh shucks, we did not get you entry. Please try again, I do but to no avail. I am already subscribed, followed the soup diet three times, visit your page frequently and own your cookbook. But no luck on the sweepstake entries. I love your comments about folks asking your for permission!!! Cracks me up! You are my go-to for low carb recipes. Thank you! Contemplating your 30-day challenge now. I know we would love this! I love your Easy Keto Ice Cream Cake! This had become our go to ice cream!! My kids always ask for this for their birthday cake. From your recipe book, it looks like bone broth would be so much easier to make in an Instant Pot – looking forward to the drawing in a few days!! I love your recipes and would love more Keto Mexican food! 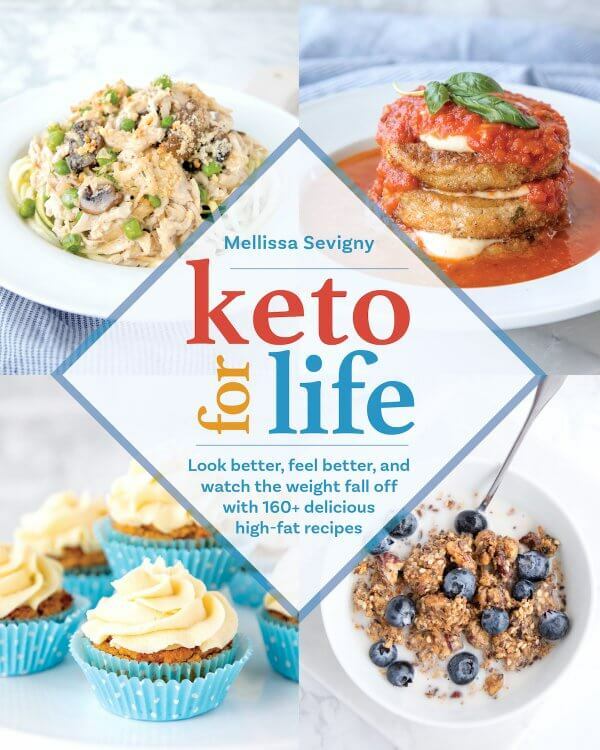 Any Keto veggie recipes – the more the better! That Keto Chicken Pot Pie looks delicious! Will be trying that next week! I’ll never buy cocktail sauce again and I might try a different sauce sometime soon! One of my favorite recipes is the Cream Cheese Pancakes! They taste amazing and are Super easy to make! https://www.ibreatheimhungry.com/easy-keto-broccoli-slaw-recipe-low-carb-gluten-free. Live a good slaw! Merry Christmas Eve! May your days be merry and bright — and may all your days be filled with love! Keto Crispy Pork & Noodle Stir-fry. Simple and easy if I had an Instant Pot! Love your recipes. Would love to try an instant pot. This pot would be perfect for making 2-person meals. Now that there is just 2 of us, this Instant Pot would be great for cooking small meals! My mom and I are committing ourselves to low carb after the new year and this blog site will be our go to. I’m excited! I am not a stranger to low carb and really I’m upset with myself for going astray. Love your blog! I love the Keto Thumbprint Cookies recipe!! These are delicious! I recently made these for a party I was going to and everyone raved about them! Plus they are Low Carb! Thank you so much for all your wonderful recipes. You keep me motivated! I would love to see soup or stew recipes. They are great in the winter, quick and easy dinner and lunch. I’d love to see recipes for cooking beef and pork from different cuisines around the world. I hope you have a blessed Christmas! Love, Love, Love your recipes! As much as I would LOVE an Instapot, I’m just glad to have the recipes on your blog & in your book. Thanks for the chance to win & for all your recipes. I’d like recipes for curried dishes and for tofu. These look delicious and I am excited to try them! Just want to win because I have wanted one for a long time and can’t afford one. This is a “Wow!” dessert! I am just getting started with my instant pot and I love it. Thanks for the giveaway. Never won anything so it would be amazing to win. Love this blog. I am new to Keto and I have Celiac disease so I love that your recipes are also gluten free. I made these https://www.ibreatheimhungry.com/keto-chocolate-fudge-haystacks-no-bake/ and added sugar free chocolate chips and dried cranberries. YUMMY. Love your Cheesy Cauliflower Soup! And would LOVE an Instant Pot to help with those busy days! Instant pots are fun and having a second would make some meals easier. I’ve been following a keto diet since April,… I lost 26# cutting out the carbs (sugar & grains) and feel much healthier. Love your recipes and would love to win an Insta Pot. I’d like to see more soups and stew recipes. Ok, so I’ve tried to save all year for one of these things and I just can’t. My hubby is on weekly chemo and other meds that cost every dime we have each month. I use my slow cooker to make him bone broth, which I swear is the only thing keeping him with us right now. But it takes Soooo long to make the best broth! There’s five in the house still so this is perfect! I’d love to have one of these pots 💓. Thank you for the chance to win one! Thank you for offering to give InstaPots to twenty-five people. That is a wonderful present. Hope I win one!!!!! Thanks for all your hard work over all the years helping us to live a sugar-free diet. Almost time for me to win an instant pot!!! Would love to enter but the link doesn’t come up for me. I’ve tried several times and many different ways with no luck so I give up. 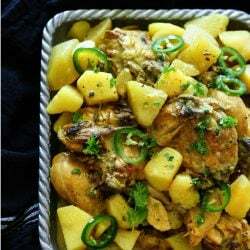 I love one pot recipes, specially the one for Fall Off the Bone Chicken. This spark some creativity in me! Fingers crossed. Can’t wait to cook with my instant pot! Love ALL of your recipes! Can’t wait to try the chocolate cheesecake- yum!!! Thank you for this opportunity! It would be such an awesome thing to have. I would love to see a recipe for old fashion vegetable beef soup. I love the Turbo Atkins soup. I mix it up a little with ground beef instead of chicken, but it’s wonderful. I have it for lunch all the time. One of my favorite recipes is the Strawberry Icebox Pie! I love that it’s low card and keto! This is my daughters favorite! I really love all the recipes you share! Thanks for making healthy eating easier! There are loads of YouTube channels devoted to the Instant Pot. Thank you for all the wonderful recipes. Thanks for the giveaway! Love the blog too. I would love to see more Pork recipes! I would like to see lots of soup recipes. Thank you for all your lovely recipes, I really appreciate it! The Balsamic Pot Roast looks good. I asked a few questions in the comments on that one. It looks so good. I wish I could do a keto type diet. I have high chloresterol though and those diets really don’t like me. Hi, I have high cholesterol too. I take flush free Niacin and I am on Keto and my cholesterol has been getting lower and I have only been on Keto for a couple of months. Keto will actually help reduce cholesterol because it causes your body to burn fat, which is what is clogging the arteries. Hope this helps. I want to make the cauliflower ham soup! Looks amazing, so many great recipes! Great giveaway! I have wanted one for a long time, I hope I am one of the lucky twenty-five! I’m impressed with the number and the quality of your recipes. I’ve tried several and they’ve all been great. SuPeR excited to enter! Getting ready to make your Pumpkin Creamcheese Cookies and saw the giveaway! Any KETO recipes reel me in! Love variety! Holiday Blessings! Wish I had some of this already cooked for today…sigh.. I love your recipes!! Tried many of them!! I would love a red Instantpot!!! One of my favorite recipes is the Low Carb Onion Rings. I love Walla Walla Sweet Onions and to be able to still have onion rings is a treat! This recipe is the best! I want to try the Asian Pot Roast! Great video’s and reipes. I’m trying to enter to win, I sent in my email and information, but every time it says go to this page to enter , I don’t see where? Anyway I do wish to enter, but where! Let it snow, let it snow, let it snow while I’m inside cooking up a fantastic Keto meal in my Instant Pot! One of my favorite recipes is the Chewy Keto Pecan Cookies. If you love pecans and chocolate, this is the recipe for you!! These are so easy to make and you can add chocolate chips to them for a change. I think they are perfect they way the are! Can’t wait to win this. I love a great chocolate chip cookie! This is the perfect list for the holidays! I gave one to my daughter for her birthday and she has raved so much that I want one now! This would be an great contest to win. Merry Christmas and thank you for sharing all these wonderful recipes. We love your Keto Chocolate Chip Cookies! They are easy to make and taste great! Plus they are Nut Free!! Your tomato basil soup is next on my list of must tries! Thanks for such a generous giveaway….love Instant Pot. I want to try the beef stew with cheesy biscuits on top, thank you! I love the sound of the lemon almond shortbread cookies! I would love to see more side dishes for an instant pot?? I would be excited if I won! Love my IP! Love all kinds of recipes. I made a cheesecake and it was acrumptious! Really hoping to be able to try this recipe! These cookies are so good! I froze them and they are great! Would love a new year to start with a new instant pot!! So excited to try out an Instant Pot, lots of recipes saved for this. One of my all time favorite recipes is the Cheesy Spinach Stuffed Chicken Breast! I love that I can skip the spinach in some for my daughter that doesn’t like spinach. This is a very user friendly recipe! An instant pot is great for making bone broth! We are making some today! LOVE your new cookbook. Making my Keto lifestyle SO much easier! A pistachio cheesecake sounds interestingly good. Please make one soon! I am loving your cookbook! When does the next one come out? My family loves the Chicken Parmesan Casserole! It’s one of my go to recipes for easy entertaining! The Easy Keto Ice Cream Cake looks awesome. Of all the low carb recipe sites, i have used yours the most and L-O-V-E every one I have tried! Right now i’m hooked on your butter pecan cookies! I just made them for a cookie contest at work and I won! I love them! Can’t wait to try this. We love pot roast, so I’m sure this will be a winner! Holy cow! They come in RED??? 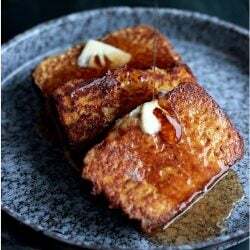 Looking forward to trying your pumpkin french toast. I’ll be trying a Jamaican jerk chicken and rice recipe if I win this! Awesome giveaway. Silly Facebook logarithm I haven’t been seeing your posts lately. Love all your recipes. 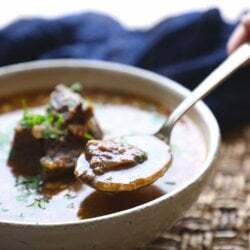 Persian Beef Stew sounds interesting – any candy recipes for an instant pot. Would love to experiment – just need the instant pot! thanks! I am making this part of my 2019 resolutions! It would be great to have an instantpot for Xmas :) We are enjoying lots of recipes from your book! I would love to win an Instant Pot for my son’s young family. Recipes and procedures for double-stacking, especially anything you don’t have to stop and restart or tend to. I would love an instant pot! We love the Chicken & Prosciutto Spiedini! 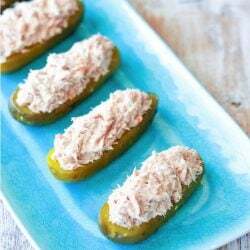 It’s the perfect appetizer for parties! I love that you can mix up the cheese you use in this recipe! We love to make it with Havarti cheese! Plus they are easy to make!! Making bone stock is a great thing to do in a pressure cooker! I’m all about easy! Thank you! Longtime follower. Love your recipes. Interested in seeing a pork belly adobo recipe for the IP. Many thanks! The first thing i ever made in my Insta pot was your Jamaican pot roast and I often make the Balsamic Beef pot Roast. YUM. I don’t have an InstaPot. If I did I would be making this pork roast. Sounds delicious. Collecting ip recipes in advance! I haven’t been that good this year so can’t pin my hopes of getting an instantpot on him :) Your give-a-way is my only hope! Access to this site has really given me new options. https://www.ibreatheimhungry.com/easy-keto-blueberry-cheesecake-bars-low-carb/ Love this desert recipe! I love your recipes! Merry Christmas! Wow!!! !Beautiful gift for the winners Would love to own one.Thank-you for the chance to win one. I would love to see lots of soup and stew recipes for the Instant Pot. I would love to see some fudge recipes or maybe you have them and I haven’t seen them yet! https://www.ibreatheimhungry.com/jamaican-jerk-pork-roast-whole-30-keto/ would be the first recipe I would try! I’m excited to make these as part of my healthier holiday cookie platter! I have been following your blog for a while but haven’t been cooking much. Would be great to have an IP to make quicker meals. Thanks for your recipes! I have always wanted an instant pot, now that I know it comes in red that will be even sweeter to match my kitchen. Would soo love an Instapot. https://www.ibreatheimhungry.com/jamaican-jerk-pork-roast-whole-30-keto/ I really want to try this one. Some hot breakfast recioes would be great! I love your recipes! So well written and helpful regardless of cooking experience. Great resource when low carb is getting boring. This would so make my Christmas perfect. Thanks for all the keto help. All credit to you for my weight loss since I found this site!! Just made your Easy Lemon Cheesecake – Low Carb & Keto and I loved it. Thanks for the great recipes! hoping to get an insta pot , on my wishlist! So I thought I was the last person on earth who didn’t have one of these but now I see I’m in good company! LOL! I love all the different ways your recipes bring flavor to keto! I love the recipes on your blog. I use them all the time and share with friends who think keto is hard. I already have an Instant Pot and LOVE LOVE LOVE it!!!! I’d love to share this with my mother-in-law if I win one :) Fingers crossed! would love to try and instant pot.. more hearty winter soup recipes would be awesome! I would like more Keto recipes for snacks and treats. One of my favorite things to make is your egg fast salted caramel custard. 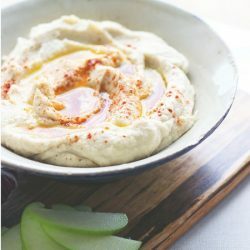 Making this in a Instant Pot would be a snap and no hot water bath would be needed! Can wait to try keto! I am excited to look through all the instant pot recipes. The variety is awesome!